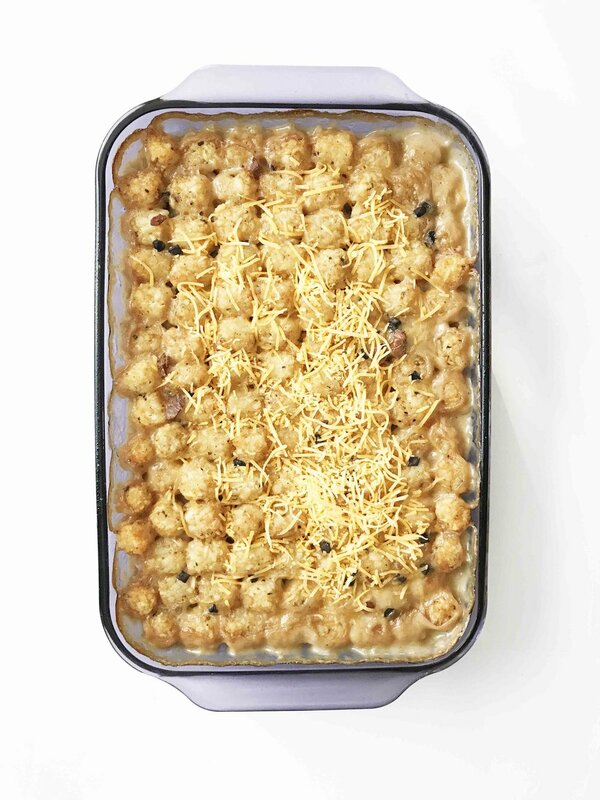 Tater tot casserole. It's one of the great American classics. 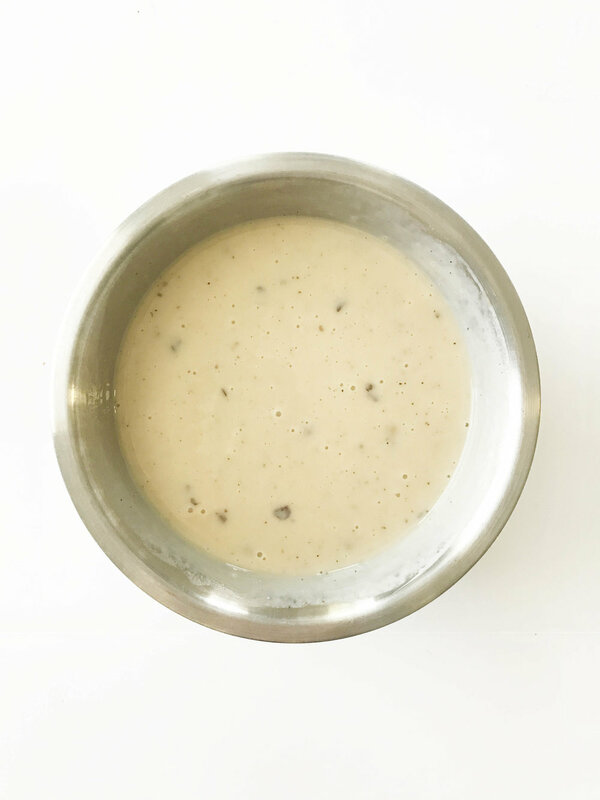 Almost all of us have eaten it before, mostly during our childhood years when it was one of those quick weeknight meals that the parents would put together at the end of a busy work week. Well, that wasn't my first experience with it but I know for many of you it was. For me, it was something that I had made for my own family. At least... I'm pretty sure my mom never made it for us. She was much more about the Hamburger Helper and cans of La Choy back when I was in grade school. The original recipe for this casserole wasn't quite my jam. 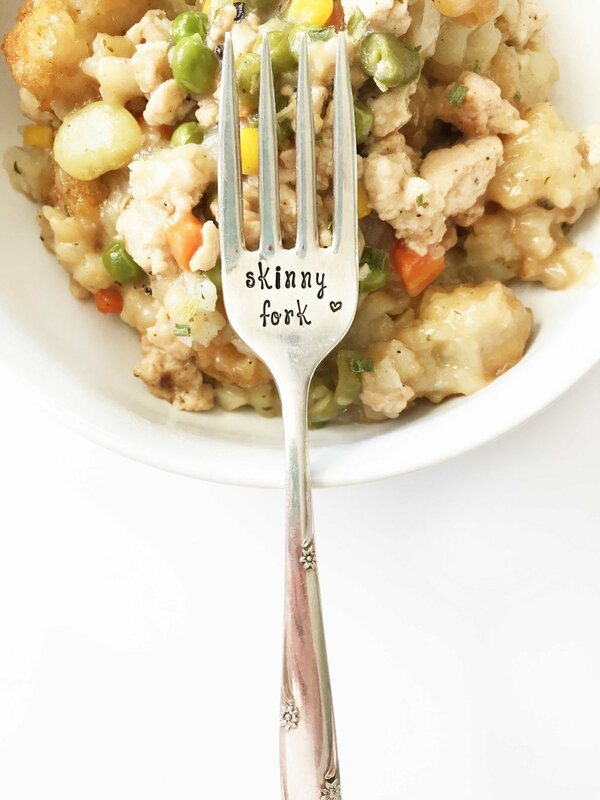 So, I put my little spin on it to update it and give it a more wholesome full all-inclusive one-bowl meal. To update this recipe, I only used half the amount of tater tots called for, and instead bulked it up with mixed vegetables. I also used a reduced fat evaporated milk. I would have gone with non-fat, but I was a little scared that it might try and get weird when cooking for so long. For the soup, I used the organic versions to make myself feel a little bit better about it since canned premade stuff isn't my favorite. But, the usual stuff will work just as well! 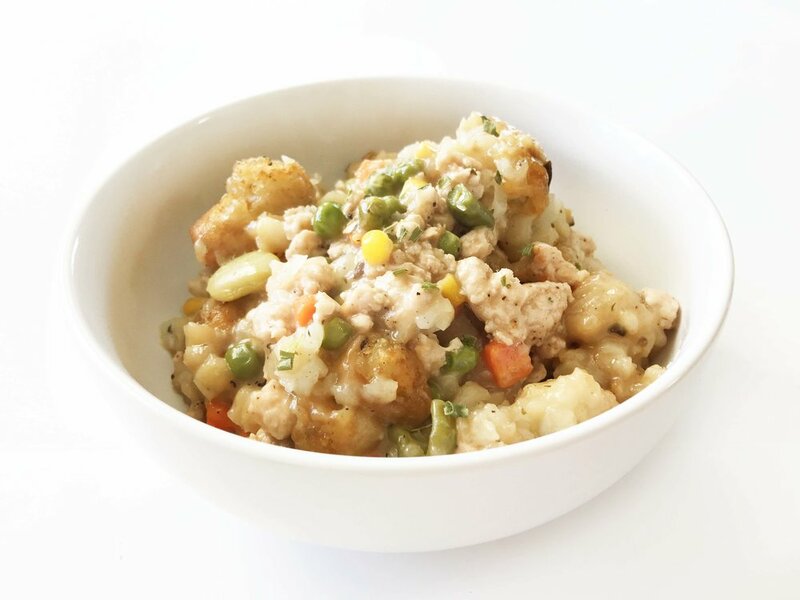 It's taken me a couple of attempts to get the new balance of meat, veggies, and soups to come together for a perfectly easy-peasy and delicious baked up casserole. The end result of this is comfort food at it's finest. 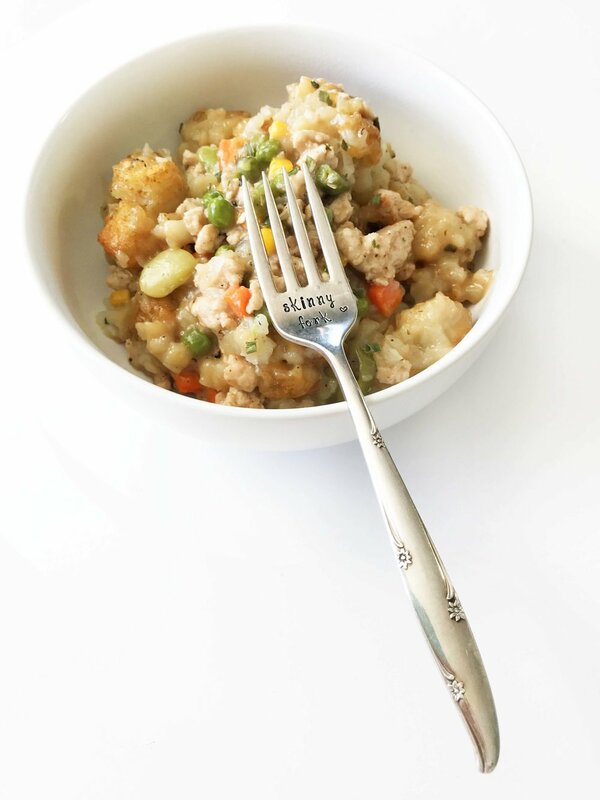 This casserole is a really good dinner to serve up on these chilly winter nights! Lightly coat a large skillet with non-stick cooking spray and place the 1 Lb. 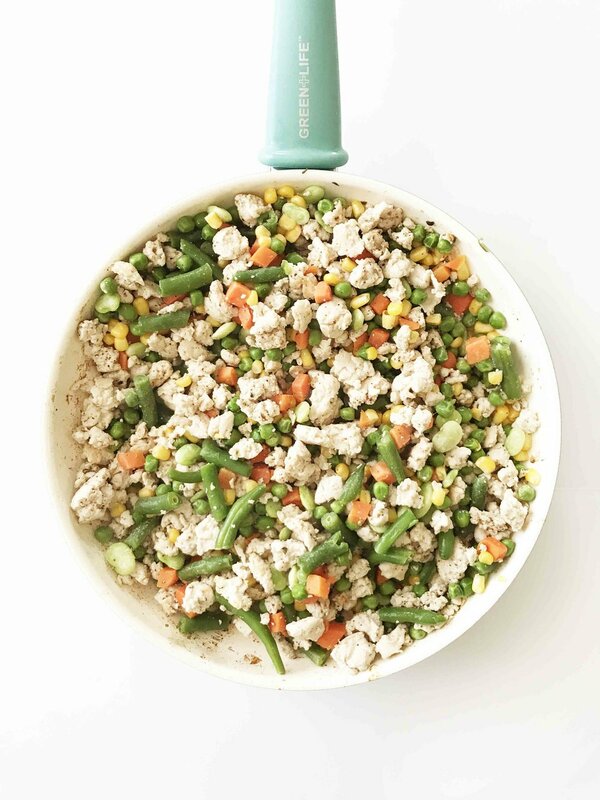 Ground Turkey into the skillet to brown and cook through over a medium-high heat. Season with salt and pepper to taste. Once the meat is cooked, add in the bag of frozen vegetables and allow it all to come to temperature. 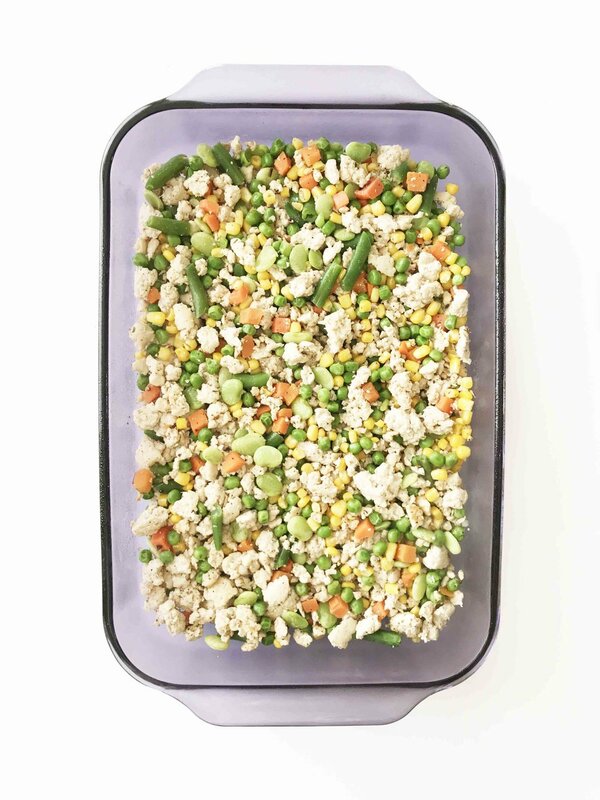 Preheat the oven to 350 degrees F. and transfer the meat and veggie mixture into the bottom of a 13x9" baking or a casserole dish. Cover the mixture with the 28 Oz. Bag of tater tots and set aside. and Salt & Pepper to Taste in a large bowl. 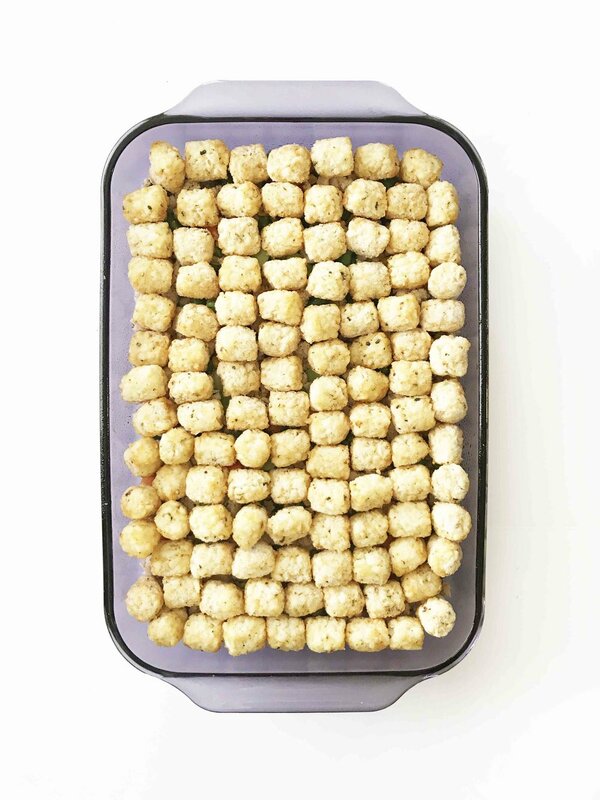 Pour the mixture over the top of the tater tots and place into the oven to bake for about an hour or until hot and bubbling. Once done, remove from the oven and top with any shredded cheese if you desire. Divide evenly among bowls and serve right away to enjoy!